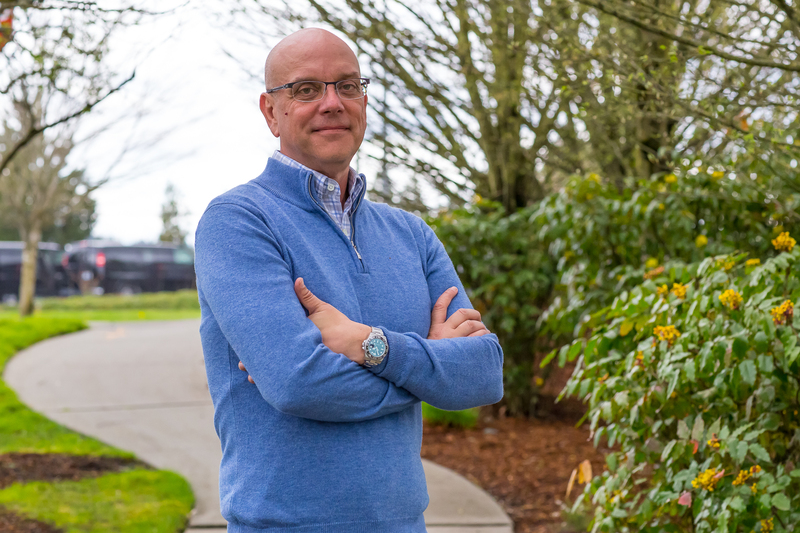 Chad Dellinger is helping drive a digital transformation from within Microsoft. 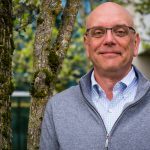 He is a principal group manager of digital transformation in Microsoft Core Services Engineering and Operations (CSEO). I’m trained to do two things, ski and write software. The dirty secret: Software pays better, and you’re less likely to break something. I was the kid who took the toaster apart, much to the chagrin of my father, who was constantly having to make do with appliances that were missing a critical part or two. I was endlessly curious about how things worked, and not just at the academic level. A leather-bound set of encyclopedias was the reference manual of my childhood, but I didn’t want to just read about how things worked—I wanted to experience them firsthand, and so my family went without modern conveniences to support my curiosity. In a fit of frustration and fortunate serendipity, my father gave me a computer at an early age. He worked as an administrator at a local school where they had ordered one too many for the space they had. At the time, because personal computers were not everywhere yet, an extra computer was more of a logistics problem than a good thing. And so, to satiate my need to destroy appliances and to solve an inventory problem at work, I became the proud steward of an Apple IIe with a CP/M card. When I first turned on my new computer, I quickly realized I was more interested in creating experiences for people to use on it than I was in using it myself. It didn’t take me long to learn that you could bend a computer to your will if you studied computer science, but even more so if you embraced the art and science of programming. At first it was programing mundane, simple things: programing my computer to play Monopoly, drawing random three-dimensional shapes, and so on. Later, I moved to more complex explorations via a college degree and subsequent internships that resulted in my hiring on at Microsoft, my first and only corporate job. I started as a contractor in 1988 and, save for another stint in school, I’ve never left. 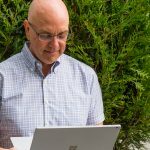 My current role at Microsoft is to drive the company’s internal digital transformation. 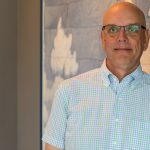 I sit in Core Services Engineering and Operations (CSEO), where I have a unique opportunity to influence how the company tackles its transformation from within. Transformation means different things to different people. At Microsoft, we think about it as driving specific outcomes. We want to empower our employees to give our customers new experiences that they’ll love; to engage our customers by reinventing productivity and enabling a data-driven culture; to optimize our operations by modernizing portfolios, and by transforming processes and skills; and to transform our products by innovating on our products and business models. These are great general descriptions of the outcomes that any company needs to address as they transform, but this is only the beginning of what it means to truly digitally transform. We’ve done a respectable job on some of these outcomes, especially on transforming our products. I work in our IT organization, so I’m focused on modernizing our internal operations and on adopting engineering practices that will help us do that. This is something I’m as passionate about as I was about the first software program I wrote. Watching Microsoft evolve from a box product company to a digitally transformed cloud platform company has been fascinating to live through. The vast amount of change this has required is not always easy to follow or understand. Thinking about cars helps. Unfortunately, I’m not talking about driving one. No, I’m suggesting you think about the business of keeping a car motoring down the road. The thing that keeps a car moving is the high-octane fuel you put in the tank. There’s a lot of potential energy in that fuel, but it needs an engine to provide the mechanism to turn that potential energy into real work. In the case of Microsoft, our fuel is the products that come from our innovation pipeline (Office 365, Windows, Microsoft Azure, Dynamics 365, etc.). The engine is the parts of the company we use to bring these products and services to market (we often refer to these as our value chain), and the engine is how we bring those constituent parts together and light them up. Now the transformation. We’re refining the way we make our fuel and how we optimize the engine so that it burns more efficiently, allowing it to generate much more power that lasts for longer distances. Everyone likes to go faster for longer, right? When we get better at this, we become much better at both responding to our customer’s needs, and rapidly and efficiently implementing new business models that, when we do it right, are an aggregation of our products as ever more integrated platforms of offerings. How did we tackle something as ambitious as this? Let’s break it into pieces. First, we needed to adopt a product mindset, meaning we needed to run our business like a product group. However, instead of building Office 365 or Microsoft Azure, we in CSEO are creating tools and services that Microsoft employees will use to do their work. Second, we needed to do this as a vision-led organization. Every tool and service that we create must fit into our overall vision for how we want to support our company and its employees. Without that, we’ll lack focus and purpose. These are probably the most important questions to ask, and, interestingly, when we at Microsoft think about our own internal transformation, we had to answer these questions before we could get started on our own transformation. The answer is, of course, different for each company and dependent on where you are with respect to understanding your customers, digitizing your products, or grappling with the efficiencies of internal processes. In my next post, I’ll share my answer on what “getting started” looked like for us and walk you through how we started our transformation. In the meantime, keep focusing on understanding what digital transformation means in your context – what’s your vision? Frameworks are great for organizing your thoughts, the harder part is getting clear on what your priorities are and, most importantly, why they are important to you.